Top Ten Real Estate Deals reports that former president Barack who went to college at Columbia University in Harlem, and Michelle Obama are back on Martha’s Vineyard for their annual summer vacation. Their first vacation home as president in 2009, returning in both 2010 and 2011, recently sold. Conveniently not far from Washington, Martha’s Vineyard was a good place to take the children for some beach time in August, a few weeks before school started. The house they chose, Blue Heron Farm in Chilmark Pond, offered a few extras such as privacy, a two-bedroom guest house for Secret Service, and a half-basketball court to hone the president’s basketball skills. 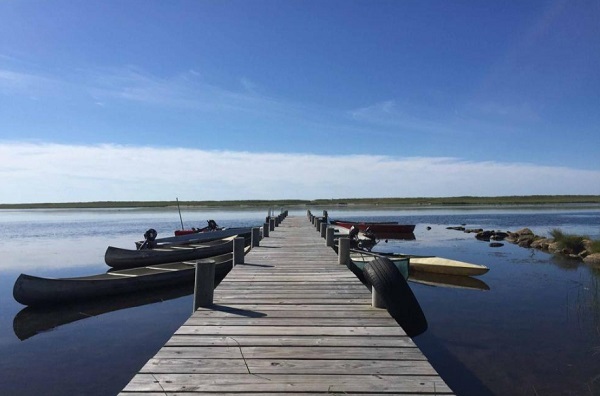 In addition to being on 9.5 secluded acres, the home’s pond has a boat dock and three empty lots between the house and the beach. It was easy to take a short row boat ride over to the sandy beach shore. In the beginning, Martha’s Vineyard was all agog in anticipation of the family’s arrival. Shops came alive, the ice cream shop came up with showy confections with family names given to each, and there was a big buzz all around town. Much speculation went on about where they would go, where they would eat and would they be accessible to the residents and guests. Everyone knew the president would be spending time on the greens at Farm Neck Golf Club and it seemed most of the town turned giddy in anticipation waiting for the motorcade to arrive.In the beginning, the family were seen around town often – shaking hands, taking selfies with the locals, perusing the shops and dining out, much to the pleasure of the locals and tourists. However, by their sixth vacation, the whole event had become somewhat hum drum. No one paid much attention and the Obamas stayed hold up at the Chilmark Pond compound and a section of private beach, the family no longer seen much around town. Towards the end of the Obama presidency, the house they had rented was put on the market, listed at $22.5 million. When there were no takers, the price was lowered to $19.125 million, then to $17.75 million. Recently it sold for $15 million. Built in 1961, the house had a complete redesign in 2006 by Seattle architect Rick Sundberg and landscape architect Steve Stimson. 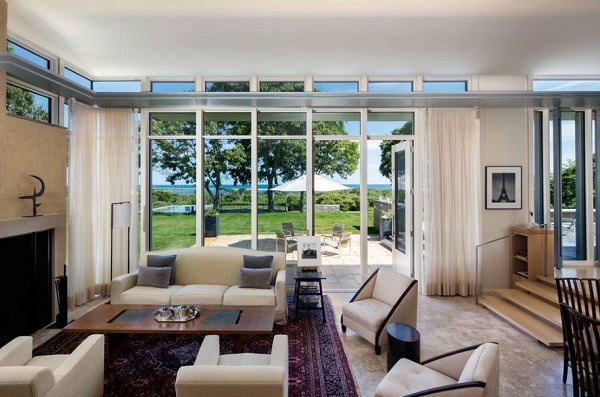 Emerging from the rebuild as a sophisticated, light-filled residence taking full advantage of the view in its reconfiguration, the home on almost ten acres is contemporary design similar to the Obama winter vacation rentals in Hawaii. There is a heated infinity pool, a home gym and a private boat dock on the pond as well as three beachfront lots for enjoying sand and sea. The 6,967-square-foot main house sits 120 feet above sea level and features six bedrooms and seven baths including a private master suite with its own den. The open floor plan includes pool, pond and ocean views from the chef’s kitchen, living room and dining room. 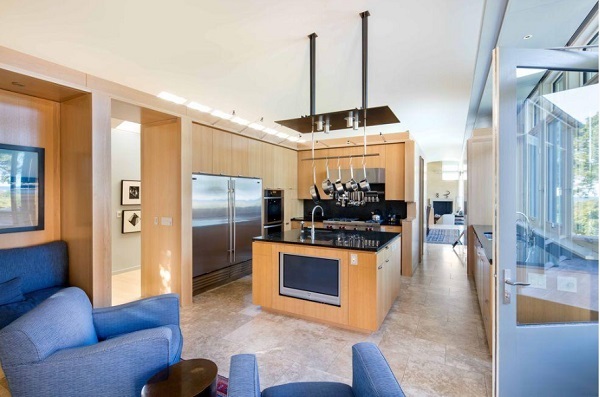 There are three fireplaces, custom millwork, marble baths and floor-to-ceiling windows. The Chilmark Pond vacation home that was the first vacation spot rented by Barack Obama and family at the beginning of his presidency has sold for $15 million. The buyer was Menemshovitz Realty Trust, represented by Gibbons Law Firm in New York City. Wallace and Co. Sotheby’s International had the listing, with Tom Wallace as principal broker. This entry was posted in Harlem, Martha’s Vineyard and tagged Barack Obama, Blue Heron Farm, Chilmark Pond, Martha's Vineyard, Washington by Harlem World Magazine. Bookmark the permalink.